Aerial Silk Demo from miss alix on Vimeo. I wish I could post this video and say that I think it is utterly awesome, instead, I find that I’m sort of embarrassed. Oh well. I guess that’s why photos are more exciting than video sometimes. In any case, despite my embarrassment, I’m still pretty pleased with how this little thing came together. I honestly can’t wait to learn more. At least I crossed one thing off my summer fun list. p.s. Would you like to see more videos here on Cute and Delicious? Just curious. Dinosaur in an elevator from miss alix on Vimeo. 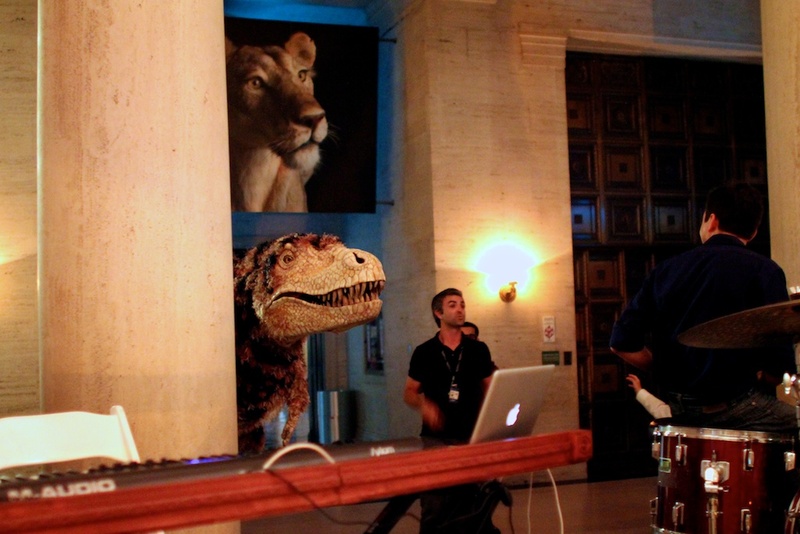 So we were visiting the Natural History Museum one night and this dinosaur just got loose. It was crazy. Luckily someone took him back to the dino lab. I think he’s pretty cute. New Home timelapse from miss alix on Vimeo. Well my dears, I hope you had a lovely holiday weekend. We did a lot of relaxing and still managed to accomplish quite a bit. We finally took care of a few things around our apartment that have been begging to get sorted (I have shelves in my closet!). We snagged the perfect dresser set from a local thrift store. I knew the Jewish Women’s Council would come through for us, and boy did they ever. We found two dressers and a matching bed side table for just over $100. They need a few paint touch ups but are otherwise in perfect condition and have already made our bedroom way more cozy. I’ll be able to give a little tour on the blog very soon. Which brings me to the video above, we made a time lapse of the painting process in our living room and dining room. As you can see, we had a lot of help, and it still took us two days. Luckily the video is short and sweet. Have I mentioned how much I love our apartment? It’s just perfect for us and I feel so lucky to live here. Oh, and if you’re reading this in a feed, jump out to watch the video. 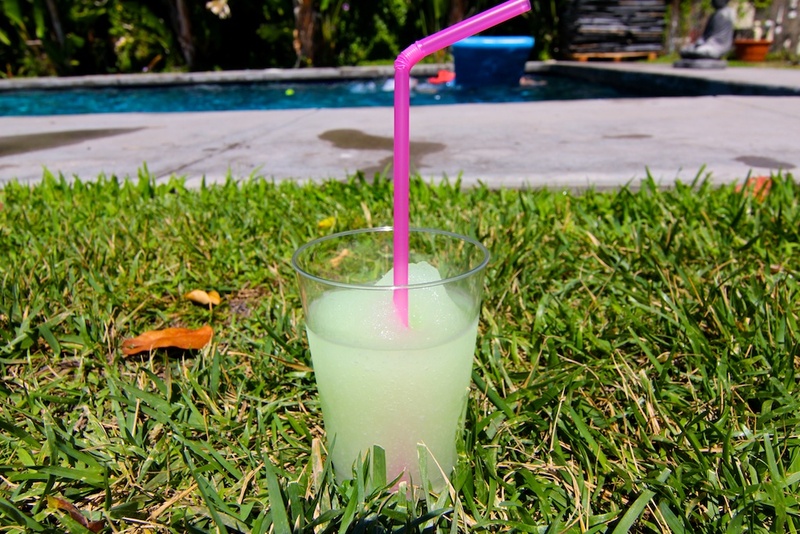 When I was younger, at the end of every vacation, I would make a list of all the things I accomplished. I will spare you every detail, but there was so much fun packed in to the last few days. Hiking, bike riding, Tim Burton, Tour de France, knitting, reading, movie watching, BBQing, swimming and of course, kitty snuggling. I took a break from twitter and the web in general over the weekend and it definitely illuminated some things for me. I realize that I do spend probably more time online than I should and it’s important for me to conserve my mental energy for creative endeavors. While the web can be inspiring, it can also be numbing in some ways. That being said, I do really enjoy chatting with people on twitter and seeing what people are sharing, so I’m not about to quit, I just don’t need to keep up with it 24 hours a day. 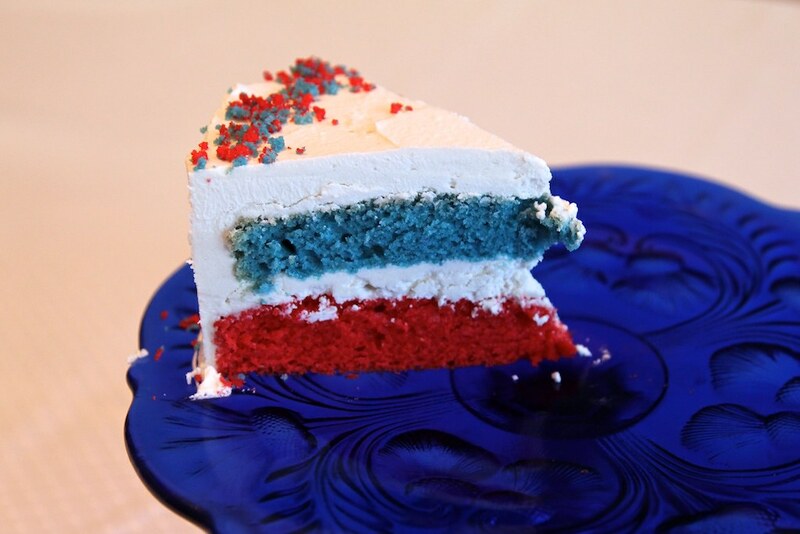 And I couldn’t leave without sharing the last piece of our Fourth of July cake, since it’s so darn patriotic. Patriotic and delicious. You may remember back in June, I took a little break from blogging, baking and well my entire life basically and made a feature film. You probably don’t remember, but yeah, I did that. Shawn and I wrote the script to Brainwashed Love together and paid for the entire production ourselves. It is by far the craziest and hardest thing I’ve ever done in my life. It was also one of the most amazing experiences I’ve had. We’re still working on the last details to polish it up, but in the meantime, we put together a little teaser trailer to show, and well, I’m so excited I have to post it here as well. Please watch, enjoy and share! Support truly independent films! If you’re reading this on an RSS feed you can click here to watch. You can also become a fan on facebook and follow us on twitter. Vegan Ghost Cake from Shawn Bannon on Vimeo. I had posted this video previously but it wasn’t anywhere near Halloween so I thought it deserved to be brought back for another go around. The little ghosts are made from Dandies vegan marshmallows and frosting. I think it’s possibly the cutest cake I’ve ever made. Enjoy the video. Weee!